Finding a gem in your food that is worth thousands of dollars isn’t an every day event. No, that kind of luck is like winning the lottery, not improbable, just highly unlikely. George Brock was dining at Dave’s Resort in Lake Worth, Florida a couple of years back. George was about halfway through a plate of steamed clams when he got a funny look on his face. He pulled a bowl under his mouth and spit out something that sounded like a BB, but upon closer examination, the “BB”, proved to be a rare, iridescent purple pearl, worth thousands of dollars. What are the odds of that? A million in one? 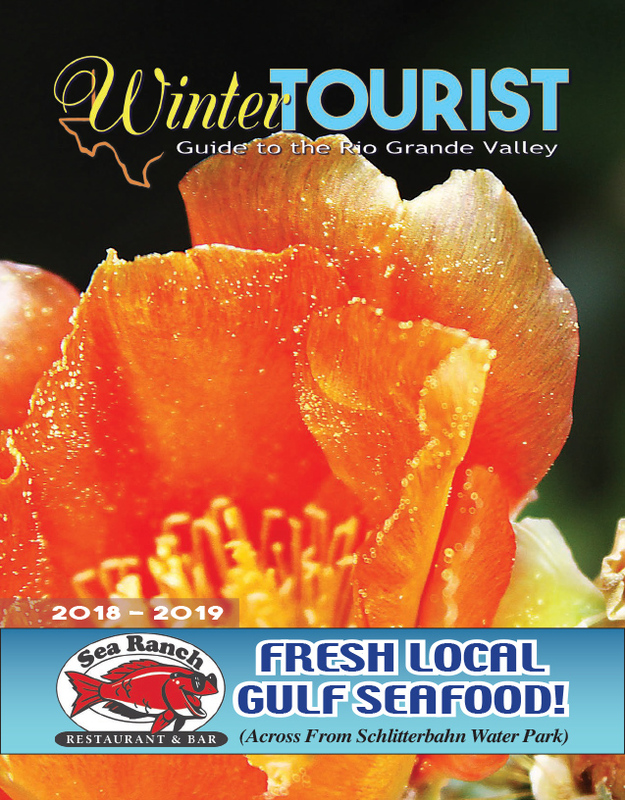 Well those odds are about the same when compared to your chances of finding the so called conch pearl, which is produced by the Queen Conch, or (Strombus gigas, whose habitat is in the Caribbean near southern Florida. In its natural state (that is, when it has not been cultured) conch pearls are among the rarest pearls anywhere in the world. It is estimated that only one in 10,000 conchs will produce a natural pearl and of these, only one in a hundred is of gem quality making this pearl one of the rarest and elusive of all. Many have tried to emulate the Japanese method of producing cultured conch pearls but all attempts have failed. Why? 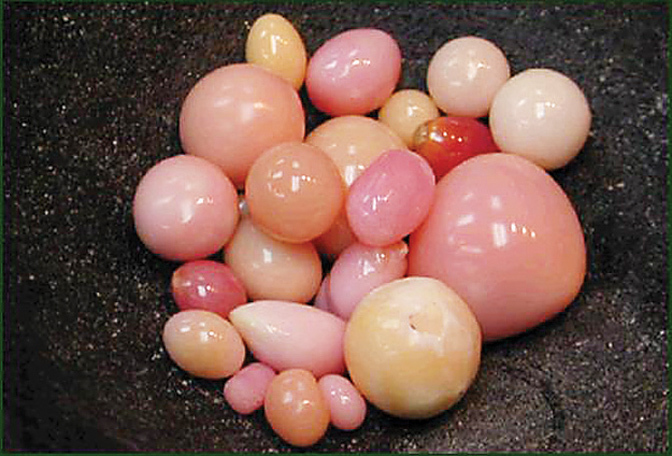 Because the sea snail that produces the conch pearl is extremely sensitive, and will not generally tolerate traditional pearl production techniques which involves inserting a foreign object, usually a piece of mother-of-pearl next to the flesh of the animal within. The failure of the technique also has to do with the spiral shape of the shell. Since it makes the sensitive snail inside very difficult to reach, it’s virtually impossible to retrieve the pearl-forming portion of the animal without endangering its life. Since the meat of the Queen conch is prized as food, it is generally harvested by fishermen, rather than being sought strictly for its pearls. The pearls tend to be “by-products,” discovered by the fishermen as they harvest and clean their catch. Conch pearls were very popular in Europe during the early 1800s. No other pearl has such a wide range of colors from startling white to magenta with orange, cafe-au-lait and lavender in between. While pink or salmon-colored are the most common, while white and brown specimens are relatively scarce. But the rarest and most expensive conch pearls are those having the “flame’ structure”, or rivers of light covering the surface. Some will have a well defined eye and on even rarer occasions you may be lucky enough to see a double eye. Ironically, the conch pearl is not a pearl at all as it contains no nacre which is the basic substance secreted by oysters and mollusks to form the inside of their shells. (Nacre is composed of layers of calcium carbonate and conchiolin. The color, luster and indeed, the iridescence of a pearl, depends on the number and thickness of these layers, as well as how the layers overlap one another.) In the case of the conch pearl however, the gem is composed of calcareous concretions, similar to kidney stones in humans. An irritant? Yes, but a pearl? Not really.